I think the eyelash-sized plants are the ones that look like crab claws (?) and if I understand this child’s drawing correctly, it confirms that ‘crab claws’ are liverwort plants being studied at The Field Museum (Chicago, Illinois, US). A botanist, a retired businesswoman, and a high school student walk into a bar. Or, maybe not a bar, what with the high school student. A museum. They and their team have a common problem–too many plant photos to analyze–and they find a solution: creating an online tool that lets regular, non-scientist people help do that analysis. Liverworts, the plants in question–so called because their rounded primitive leaves are kind of liver-shaped–tend to fly under the radar. “When I tell people I study liverworts, my opening line is that it’s not catching,” says Matt von Konrat, the Field Museum’s collections manager of plants and lead author of a paper detailing the project in an issue of Applications in Plant Sciences dedicated to the digitization of botanical natural history collections. You’ve likely seen liverworts before, but you probably didn’t realize it. These ancient plants evolved millions of years before the dinosaurs, and they’re everywhere from deserts to the Arctic. But liverworts are tiny–about the size of an eyelash–and inconspicuous, growing like their cousins, mosses, on rocks and trees. Since they’re so small, they respond to climate change and global warming more quickly than bigger plants and animals, making them valuable to scientists. “They’re like a canary in a coal mine,” says von Konrat. The team adapted the online platform Zooniverse, used in astronomy citizen science projects, to enable citizen science volunteers to analyze photos of liverworts, measuring their primitive leaflike structures. This work helps scientists better determine the differences between different species, which might respond differently to climate change or have other scientifically important distinctions. “The Microplants project is two-pronged: to help find differences between these species, and see if measurements can actually be done by lay people,” says co-author Kalman Strauss, a high school student and citizen scientist who has been volunteering with von Konrat at the Field Museum since 2014. The project relied heavily upon citizen scientists like Strauss; another of the paper’s authors Joann Martinec, a retired businesswoman and another Field volunteer. “I’ve always been interested in nature–in my family growing up, as soon as you could walk and talk, you’d be outside identifying species,” says Martinec. “But I didn’t know much about mosses and liverworts until meeting Matt at a Members’ Night at the museum. I wanted to do something new.” Martinec went on to play a major role in training new citizen scientists on the Microplants project. Over the course of the project, over 11,000 users assisted in analyzing liverwort photos, participating remotely online and via an in-person digital kiosk in one of the Field Museum’s exhibitions. The platform, which corresponds to Next Generation Science Standards, was also used in classrooms ranging from kindergartens to college biology classes. The resulting analyses of the liverworts, says von Konrat, are accurate enough for use in research that can inform environmental policy. Beyond the contributions to science, von Konrat says, the project is notable for its efforts in public engagement with science. This entry was posted in Citizen Science, public engagement, science and tagged Arfon Smith, Ayesha Qazi, Ben Carter, Blanka Aguero, Brian Carstensen, bryophytes, Caitlin Vaughn, Charlie Delavoi, Chris Snyder, Christina Yang, climate change, Eric Ribbens, Eve Gaus, global warming, Joann Martinec, Juan Larraín, Justyna Drag, Kalman Strauss, Laura Trouille, liverwort research, liverworts, Matt von Konrat, Matthew Greif, Microplants project, Mike Bryson, mosses, Next Generation Science Standards, Peter de Lange, Selma Aburahmeh, Steve Cohen, Tatyana Livshultz, Taylor J. Walker, Taylor Peterson, Thomas Campbell, Tomomi Suwa, Using citizen science to bridge taxonomic discovery with education and outreach, Yarency Rodriguez, Zooniverse on June 29, 2018 by Maryse de la Giroday. If companies working on artificial intelligence don’t take steps to safeguard human rights, “nightmare scenarios” could unfold, warns Rasha Abdul Rahim, an arms control and artificial intelligence researcher at Amnesty International in a blog post. Those scenarios could involve armed, autonomous systems choosing military targets with little human oversight, or discrimination caused by biased algorithms, she warns. Last week [June 7, 2018] Google released a set of principles to govern its development of AI technologies. They include a broad commitment not to design or deploy AI in weaponry, and come in the wake of the company’s announcement that it will not renew its existing contract for Project Maven, the US Department of Defense’s AI initiative, when it expires in 2019. The fact that Google maintains its existing Project Maven contract for now raises an important question. Does Google consider that continuing to provide AI technology to the US government’s drone programme is in line with its new principles? Project Maven is a litmus test that allows us to see what Google’s new principles mean in practice. As details of the US drone programme are shrouded in secrecy, it is unclear precisely what role Google plays in Project Maven. What we do know is that US drone programme, under successive administrations, has been beset by credible allegations of unlawful killings and civilian casualties. The cooperation of Google, in any capacity, is extremely troubling and could potentially implicate it in unlawful strikes. As AI technology advances, the question of who will be held accountable for associated human rights abuses is becoming increasingly urgent. Machine learning, and AI more broadly, impact a range of human rights including privacy, freedom of expression and the right to life. It is partly in the hands of companies like Google to safeguard these rights in relation to their operations – for us and for future generations. If they don’t, some nightmare scenarios could unfold. Warfare has already changed dramatically in recent years – a couple of decades ago the idea of remote controlled bomber planes would have seemed like science fiction. While the drones currently in use are still controlled by humans, China, France, Israel, Russia, South Korea, the UK and the US are all known to be developing military robots which are getting smaller and more autonomous. For example, the UK is developing a number of autonomous systems, including the BAE [Systems] Taranis, an unmanned combat aircraft system which can fly in autonomous mode and automatically identify a target within a programmed area. Kalashnikov, the Russian arms manufacturer, is developing a fully automated, high-calibre gun that uses artificial neural networks to choose targets. The US Army Research Laboratory in Maryland, in collaboration with BAE Systems and several academic institutions, has been developing micro drones which weigh less than 30 grams, as well as pocket-sized robots that can hop or crawl. Of course, it’s not just in conflict zones that AI is threatening human rights. Machine learning is already being used by governments in a wide range of contexts that directly impact people’s lives, including policing [emphasis mine], welfare systems, criminal justice and healthcare. Some US courts use algorithms to predict future behaviour of defendants and determine their sentence lengths accordingly. The potential for this approach to reinforce power structures, discrimination or inequalities is huge. In july 2017, the Vancouver Police Department announced its use of predictive policing software, the first such jurisdiction in Canada to make use of the technology. My Nov. 23, 2017 posting featured the announcement. Formed by the following non-governmental organizations (NGOs) at a meeting in New York on 19 October 2012 and launched in London in April 2013, the Campaign to Stop Killer Robots is an international coalition working to preemptively ban fully autonomous weapons. See the Chronology charting our major actions and achievements to date. For anyone who may be interested in joining Amnesty International, go here. This entry was posted in military, robots and tagged AI ethics policies, AI image recognition technology, algorithms, Amnesty International (AI), armed autonomous systems, Article 36, artificial intelligence (AI), Association for Aid and Relief Japan, autonomous systems, BaE systems, BAE Systems Taranis, BAE Taranis, Campaign to Stop Killer Robots, Canada, China, conflict zones, criminal justice, France, freedom of expression, fully automated high-calibre gun that uses artificial neural networks to choose targets, fully autonomous weapon systems, Google, healthcare, human rights, Human Rights Watch, International Committee for Robot Arms Control, Israel, Kalashnikov, laws of war, machine learning, micro drones, military robots, Mines Action Canada, Nobel Women’s Initiative, PAX (formerly IKV Pax Christi), pocket-sized robots that hop or crawl, policing, predictive policing software, privacy, Project Maven, Pugwash Conferences on Science & World Affairs, Rasha Abdul Rahim, remote controlled bomber planes, right to life, Russia, Seguridad Humana en América Latina y el Caribe (SEHLAC), South Korea, Steven Melendez, UK, unmanned combat aircraft system which can fly in autonomous mode and automatically identify a target within a programmed area, US, US Army Research Laboratory, US Department of Defense’s AI initiative, US drone programme, US Pentagon, Vancouver Police Department, warfare, weaponry, welfare systems, Women’s International League for Peace and Freedom on June 27, 2018 by Maryse de la Giroday. Improvement of computing devices today focuses on increasing information processing speeds. Nanophotonics is one of the sciences that can solve this problem by means of optical devices. Although optical signals can be transmitted and processed much faster than electronic ones, first, it is necessary to learn how to quickly control light on a small scale. For this purpose, one could use metal particles. They are efficient at localizing light, but weaken the signal, causing significant losses. However, dielectric and semiconducting materials, such as silicon, can be used instead of metal. Silicon nanoparticles are now actively studied by researchers all around the world, including those at ITMO University. The long-term goal of such studies is to create ultrafast, compact optical signal modulators. They can serve as a basis for computers of the future. However, this technology will become feasible only once we understand how nanoparticles interact with light. Scientists found that the electromagnetic field caused by an interaction between light and particles has a more complex structure. This leads to a light distortion which varies with time. Therefore, the symmetry of particles is disturbed and optical properties become different throughout one particle. In order to create a tool to study processes inside nanoparticles, scientists from ITMO University joined forces with colleagues from Jean Monnet University in France. “We developed analytical methods to determine the size range of the particles and their refractive index which would make a change in optical properties likely. Afterwards, we used powerful computational methods to monitor processes inside particles. Our colleagues performed calculations on a computer with graphics accelerators. Such computers are often used for cryptocurrency mining [emphasis mine]. However, we decided to enrich humanity with new knowledge, rather than enrich ourselves. 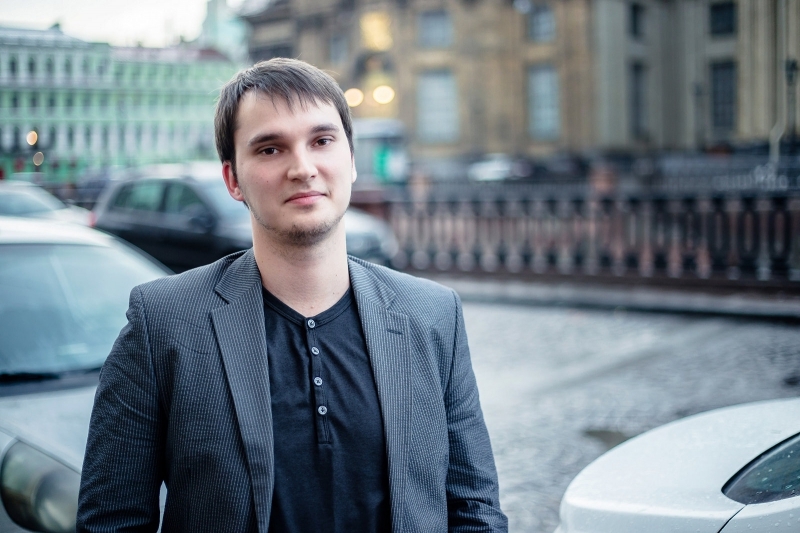 Besides, bitcoin rate had just started to go down then,” adds Konstantin. Devices based on these nanoparticles may become basic elements of optical computers, just as transistors are basic elements of electronics today. They will make it possible to distribute and redirect or branch the signal. “Such asymmetric structures have a variety of applications, but we are focusing on ultra-fast signal processing,” continues Sergey. “We now have a powerful theoretical tool which will help us develop light management systems that will operate on a small scale – in terms of both time and space”. ITMO University (Russian: Университет ИТМО) is a large state university in Saint Petersburg and is one of Russia’s National Research Universities. ITMO University is one of 15 Russian universities that were selected to participate in Russian Academic Excellence Project 5-100 by the government of the Russian Federation to improve their international competitiveness among the world’s leading research and educational centers. This entry was posted in nanophotonics, nanotechnology and tagged Anton Rudenko, bitcoin rate, cryptocurrency mining, electromagnetic field, electron-hole plasma, France, ITMO University, Jean Monnet University, Konstantin Ladutenko, light, optical signals, Photogenerated Free Carrier-Induced Symmetry Breaking in Spherical Silicon Nanoparticle, Russia, Russia’s National Research Universities, Russian Academic Excellence Project 5-100, Sergey Makarov, silicon nanoparticles, Tatiana E. Itina on June 25, 2018 by Maryse de la Giroday. Army scientists proved a decades-old prediction that mixing TNT and novel aluminum nanoparticles can significantly enhance energetic performance. This explosive discovery is expected to extend the reach of U.S. Army firepower in battle. 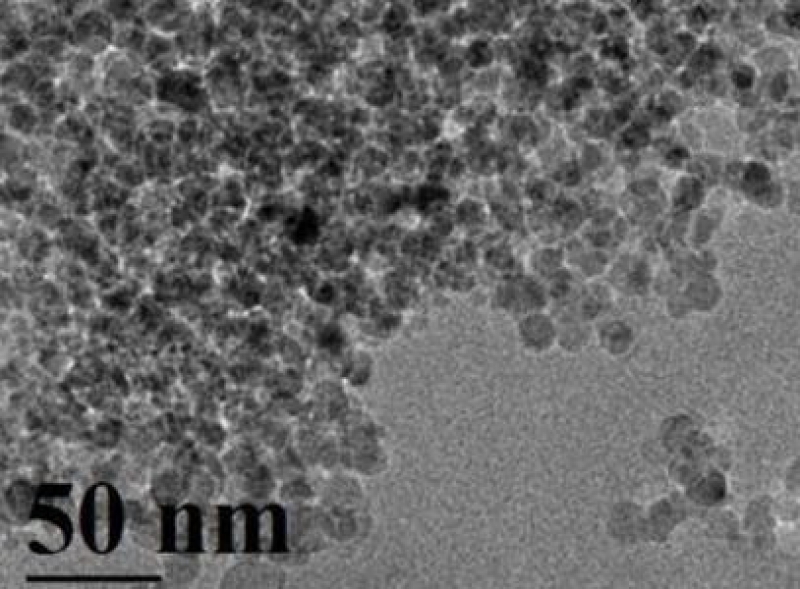 The structure of the AIH-coated aluminum nanoparticles was revealed for the very first time through high resolution transmission electron (TEM) microscopy performed by ARL’s Dr. Chi-Chin Wu, a materials researcher who leads the plasma research for the lab’s Energetic Materials Science Branch in the Lethality Division [emphasis mine] of Weapons and Materials Research Directorate. Wu said this revolutionary research offers the potential for the exploitation of aluminum and potentially other metallic nanoparticles in explosive formulations to extend the range and destructive power of Army weapons systems, a key objective of the Army’s “Long Range Precision Fires” modernization priority. “We believe these results show tremendous promise for enhancing the detonation performance of conventional military explosives with aluminum nanoparticles for the first time,” said ARL’s Dr. Jennifer Gottfried, a physical chemist who collaborated on the research. “It is very exciting to advance science to a point where we can harness more chemical energy from metal particles at faster timescales. This is an exciting time for transforming energy generation technology,” said Dr. Michelle L. Pantoya, the J. W. Wright Regents Chair in Mechanical Engineering and Professor at Texas Tech University. These preliminary joint efforts have also led to a formal research collaboration under an ARL Director’s Research Award, the fiscal 2018 External Collaboration Initiative between Wu and TTU. This entry was posted in military, nanotechnology and tagged AIH-coated aluminum nanoparticles, aluminum iodate hexahydrate (AIH), aluminum nanoparticles, Chi-Chin Wu, crystalline aluminum core, detonation velocity, Dylan K. Smith, Improving the Explosive Performance of Aluminum Nanoparticles with Aluminum Iodate Hexahydrate (AIH), Jennifer Gottfried, Jennifer L. Gottfried, Michelle L. Pantoya, Texas Tech University, TNT, transmission electron (TEM) microscopy, U.S. Army Research Laboratory (ARL), US Air Force Research Laboratory, US Army, US Army's Long Range Precision Fires modernization priority on June 22, 2018 by Maryse de la Giroday. First a soap opera, of sorts and then the science. It seems we in Canada no longer have a National Institute of Nanotechnology (NINT) as such. (sigh) The NINT been downsized and rebranded. Always part of Canada’s National Research Council (NRC), the NINT has been languishing for a number of years. The downsizing/rebranding has resulted in two new ‘entities’: the NRC Nanotechnology Research Centre and the NRC-UAlberta [University of Alberta] Nanotechnology Initiative. The original NINT was a joint venture between the Canadian federal government’s NRC and the province of Alberta, which was a co-funder with the institute (now initiative/research centre) itself being located at the University of Alberta. You can see the latest description of these agencies on this NRC Nanotechnology webpage. For scandal mongers, the date the NRC Nanotechnology webpage was last updated is an interesting one: March 14, 2018. My first posting about the ‘Montemagno affair’ was on March 5, 2018. Briefly, Carlo Montemagno was a US ressearcher and academic who was enticed to work at the University of Alberta with $100M of federal and provincial funding to be paid out over a 10-year period. His salary when he left about 1/2 way through his term was approximately $500,00 CAD per year. Departing in July/August 2017, Dr. Montemagno who headed up the “ingenuity Lab,” a kind of nanotechnology research and incubator project, moved to the Southern Illinois University (SIU) where he ran into some problems some of which seemed to stretch backwards to his time in Alberta. I did a followup two-part posting (April 26, 201 8 (part 1) after a student reporter from SIU dug up more material. This downsizing/rebranding seems to have been quite the cleanup job. By the way, Canada’s NanoPortal (mentioned in the March 5, 2018 posting) has currently ‘disappeared’. Cellphone breathalyzers may be on the horizon with the breakthrough by an Edmonton-based nanotechnology team. The special sensors, called nano-optomechanical systems, are normally studied in airtight conditions. But the research of nanotechnologist Wayne Hiebert, published in the journal Science on Friday [June 15, 2018], has found the sensors work better in the open air — making them candidates for everyday use. Hiebert, a researcher at the Nanotechnology Research Centre [emphasis mine] at the University of Alberta, said this means the sensors may one day run metabolic readings, cancer screenings and other tests that currently have to be done in laboratories. The sensors could also improve GPS and clock accuracy once the technology is more developed, Hiebert said. Scientists have always believed that sensors on the nanoscale work better when they’re in a space sealed off from any air, Hiebert said. Readings taken in vacuums are much “sharper” than readings taken in regular air, which was always thought to be more useful in nanotechnology. Four years of Hiebert’s work has found the opposite. The “duller” readings taken in the open gave the scientists a more accurate reading of what was in the air. For the interested, there are more details in Sarkonak’s article. This entry was posted in medicine, nanotechnology and tagged Alberta, Anandram Venkatasubramanian, Canada, Canada National Research Council, Canada's NanoPortal, Canada's National Institute of Nanotechnology, cancer screenings, Carlo Montemagno, cellphone breathalyzers, clock accuracy, GPS, Improving mechanical sensor performance through larger damping, Ingenuity Lab, Jamie Sarkonak, Jocelyn N. Westwood-Bachman, metabolic readings, nano-optomechanical systems, Nanoportal, National Research Council of Canada (NRC), NINT, NRC-UAlberta Nanotechnology Initiative, sensors, Southern Illinois University (SIU), Swapan K. Roy, UAlberta, University of Alberta, Vincent T. K. Sauer, Wayne Hiebert, Wayne K. Hiebert on June 20, 2018 by Maryse de la Giroday.